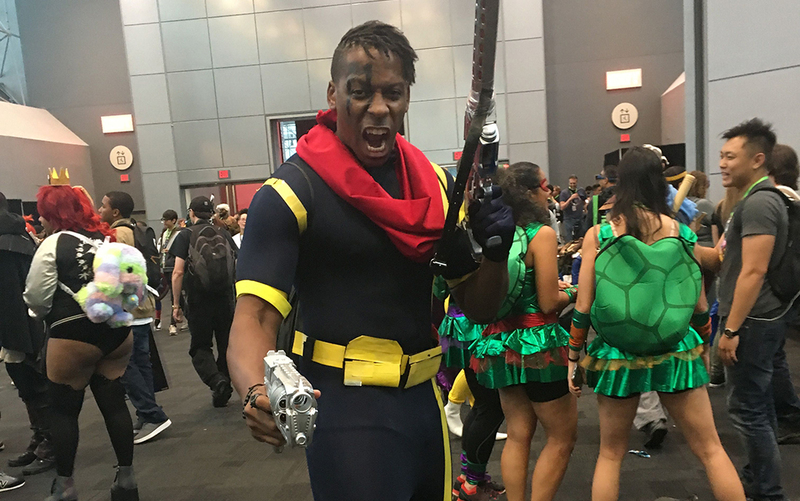 TNJ was at the 2018 edition of New York Comic Con (NYCC), held Oct. 4-7 at the Jacob K. Javits Convention Center. 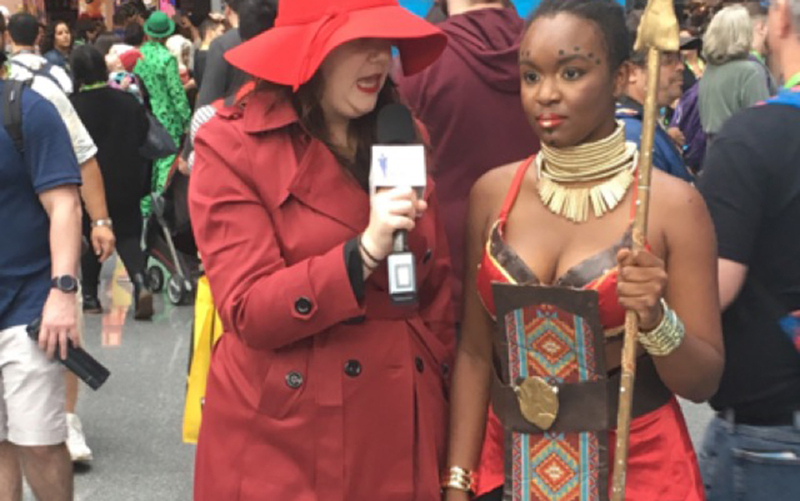 An annual New York City convention dedicated to comics, graphic novels, anime, manga, video games, cosplay, toys, movies, and television, the event has evolved into the largest pop culture event on the East Coast. 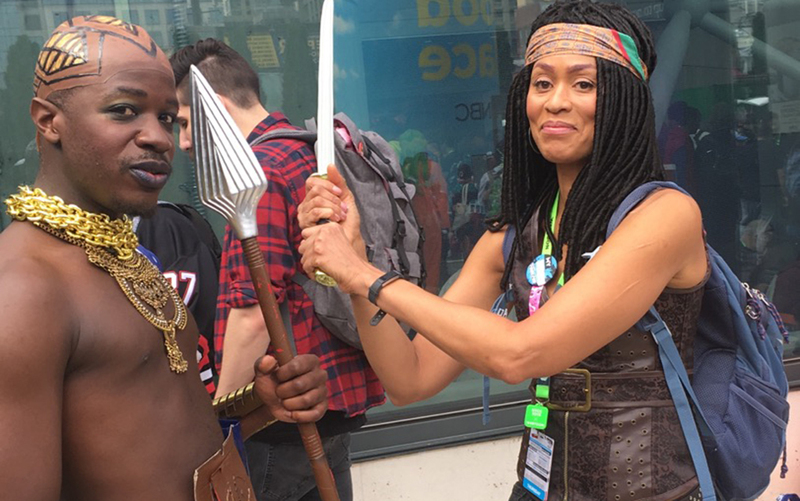 As in past years, Black nerds, geeks, creators, comic book executives and aficionados, many of them attired as their favorite superhero, were on hand in full force. 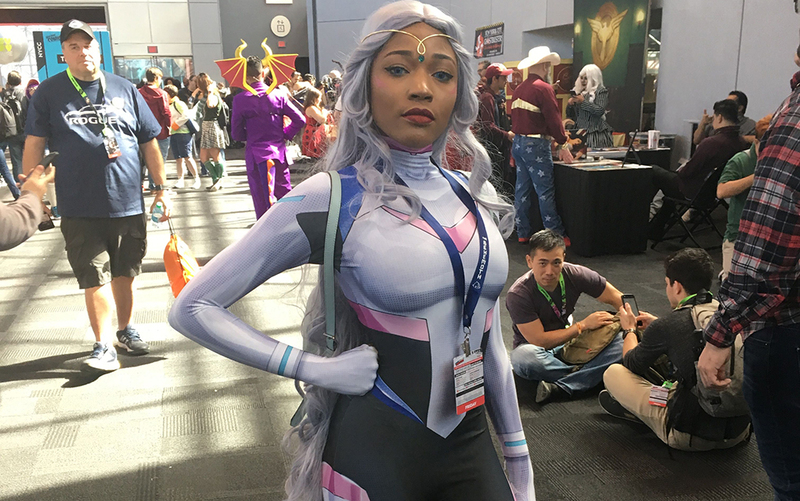 Recognizing the growing presence of Black creative talent and significant fan base in the comic book industry, the convention featured a “Black Heroes Matter” panel on portrayals of Black heroes in a contemporary pop culture that often fails to highlight diverse talent. The panel focused on the cultural renaissance of Black creativity following the success of the movie, Black Panther (adapted from the Marvel Comics superhero of the same name) and the mass appeal of Black superheroes Black Lightning (DC Comics) and Luke Cage (Marvel Comics). 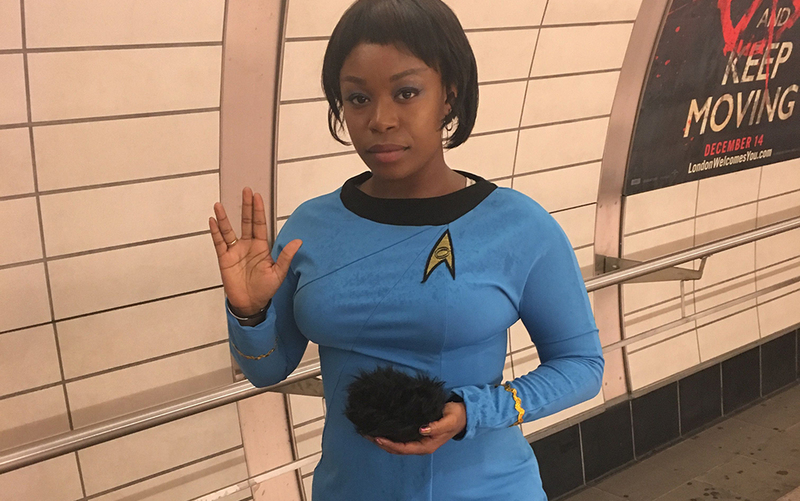 Astrophysicist, science communicator and pop culture icon Neil deGrasse Tyson hosted a panel of experts for a live recording of his StarTalk Radio show, covering such topics as time travel, quantum states, and wormholes. On the last day of the convention, he shared a panel on Cosmos: Possible Worlds, the Fox television series he hosts, with the show’s executive producers and co-director, discussing how they came to love studying the stars and the universe; ways in which the Cosmos series demonstrates the power of science and truth; and why you should never believe things on authority alone. Check, Please! is the story of Eric “Bitty” Bittle, a gay high school figure-skating champion who loves to bake and video blog about his life, and who finds love and an unlikely group of new friends among his hypermasculine college ice hockey teammates. 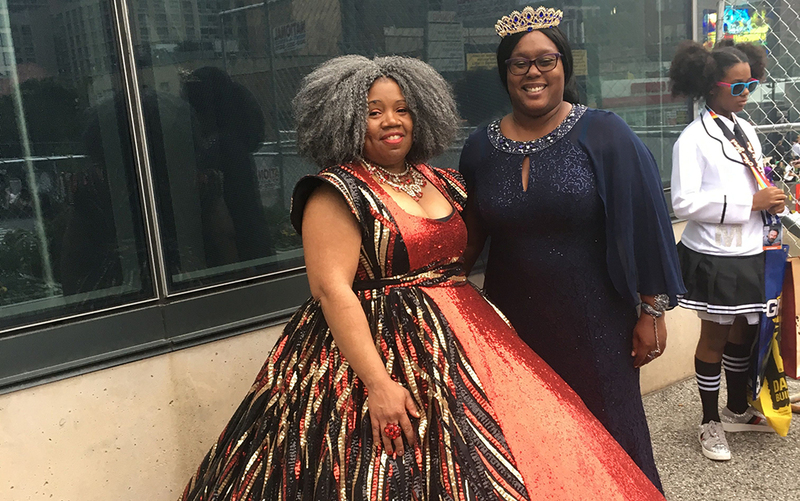 The daughter of Nigerian immigrants and a graduate of Yale University and Savannah College of Art and Design, Ukazu raised nearly $500,000 through Kickstarter to publish the webcomic in print. It remains one of the most successful Kickstarter-funded comics today. The book’s massive popularity online led First Second, Macmillan’s graphic novel imprint, to acquire it. 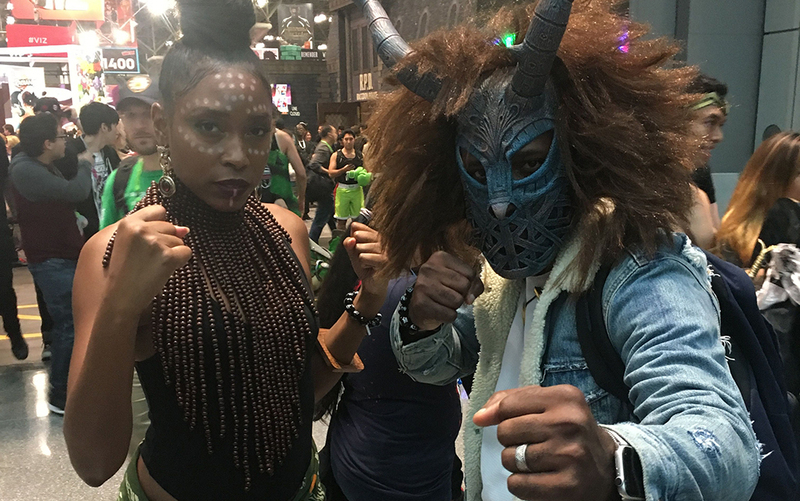 Ukazu, along with Nigerian-American novelist Tomi Adeyemi (Children of Blood and Bone) appeared on “What’s So Great About YA?,” one of First Second’s series of panels with Macmillan comics and prose authors at NYCC 2018. Children of Blood and Bone is the first installment in the Legacy of Orisha trilogy, a West African fantasy about a girl who must fight against the monarchy to bring magic back to her people. 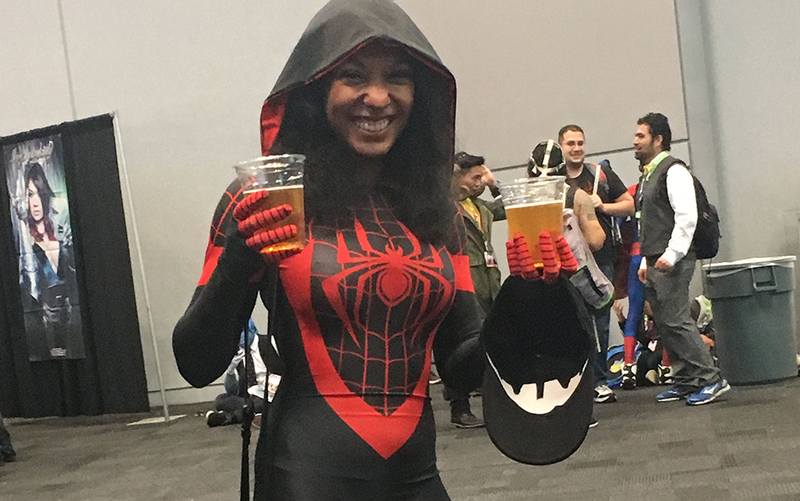 NYCC 2019 will take place Oct. 3-6, once again at the Jacob K. Javits Convention Center.